An old herbal remedy for treating smallpox that is thought to have been used by native Americans in the late 1800s has been rediscovered and found to kill the poxvirus. Smallpox has been eradicated, but the finding offers a possible treatment for poxvirus in the unlikely event of a bioterror attack or increased incidence of similar poxviruses such as monkey pox. Smallpox ravaged human populations for thousands of years, but in 1796 Edward Jenner discovered that exposure to cowpox lesions could provide immunity to smallpox. This led to the creation of the first vaccine for a disease. It took some time, but in 1979 the World Health Organization officially declared that smallpox had been eradicated. 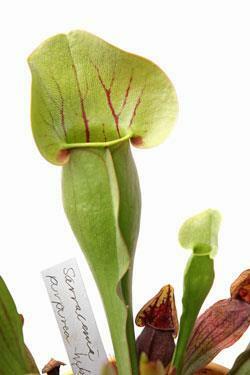 Historical sources suggest that in the 1800s, when smallpox still posed a serious threat, the Micmac native Americans of Nova Scotia treated the disease using a botanical infusion derived from the insectivorous plant Sarracenia purpurea, a species of pitcher plant. Now, Jeffrey Langland at Arizona State University in Tempe, US, and colleagues have conducted in vitro experiments with the herbal extract and found it inhibits replication of the variola virus, the causative agent behind smallpox. Although, natural smallpox no longer poses a health threat, there is a remote possibility that unstable states or terrorist groups could have acquired stocks of the virus following the collapse of the Soviet Union, which had developed smallpox as a biological warfare agent. Vaccinations are still administered to at risk groups including researchers working with poxviruses and members of the US military who could potentially be exposed to the virus through biological warfare. But since the risk is so low for populations at large, it is hard to justify vaccinating everyone, particularly because the vaccine can have serious side effects. Developing therapies is therefore important in order to treat people if a bioterror event does occur. The team made extracts of S. purpurea and found that it was highly effective at inhibiting the replication of the virus in rabbit kidney cells. They then looked at the replication cycle of the virus and found that the herb inhibits mRNA synthesis, halting production of proteins vital for replication. ’Other drugs are being developed against smallpox, but S. purpurea is the only known therapy that will target the virus at this point in the replication cycle,’ says Langland.